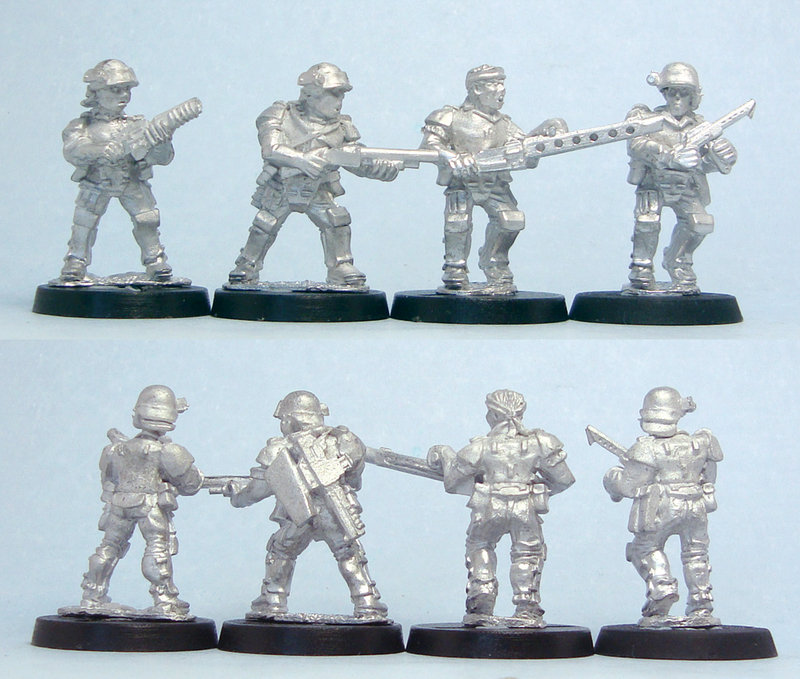 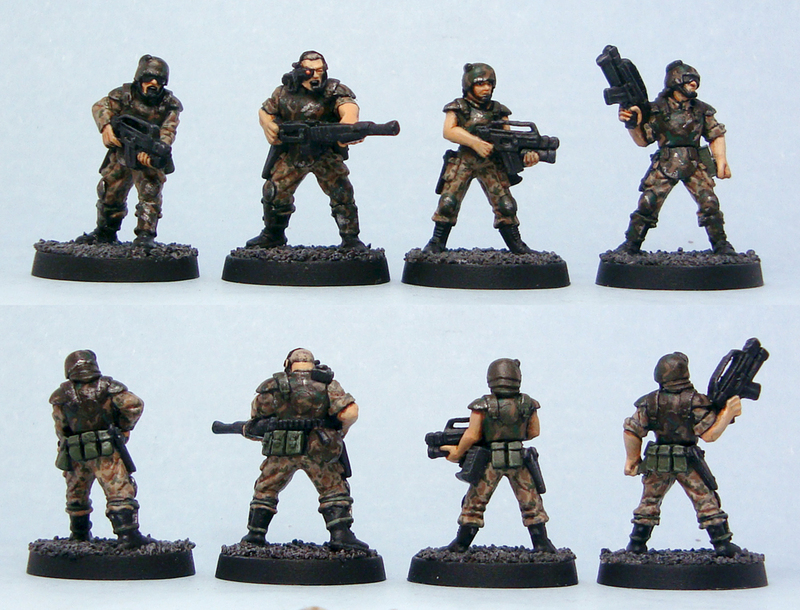 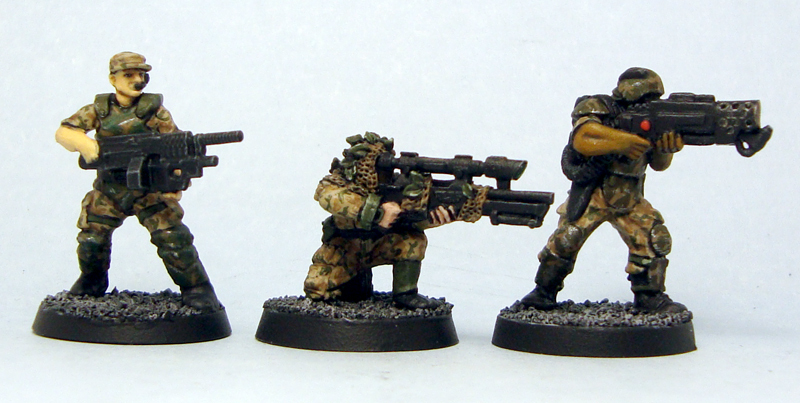 I recently added the Defiance Games UAMC marines to my Colonial Marine review. 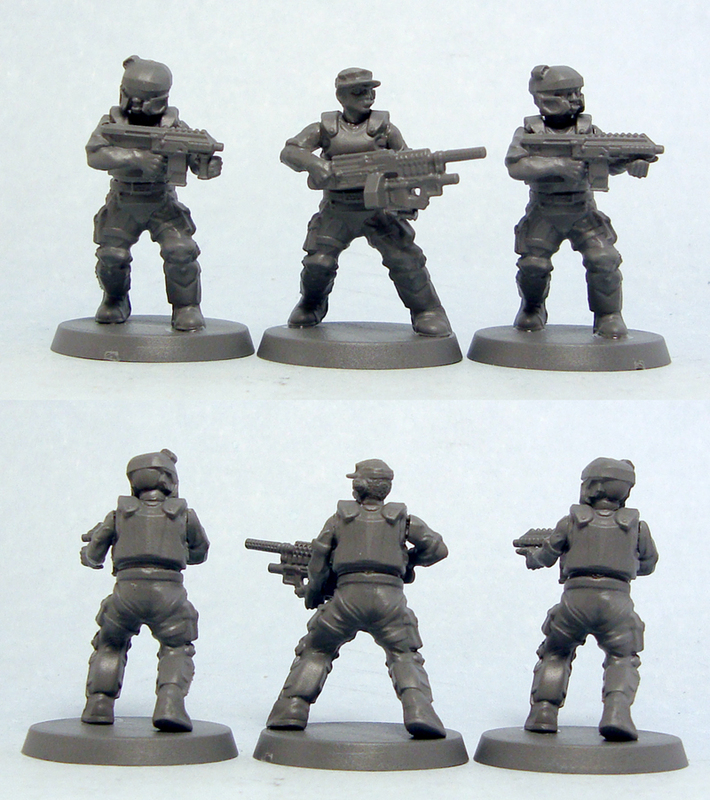 As I was playing around with assembling the minis, I remembered I had some of Hasslefree‘s wonderful pulse rifles kicking around. 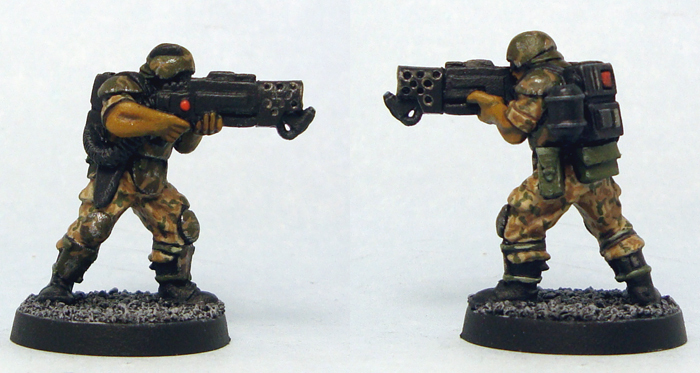 These guns are the pick if you’re looking to convert minis to an Aliens setting, so I figured I’d try one out on a DG marine. 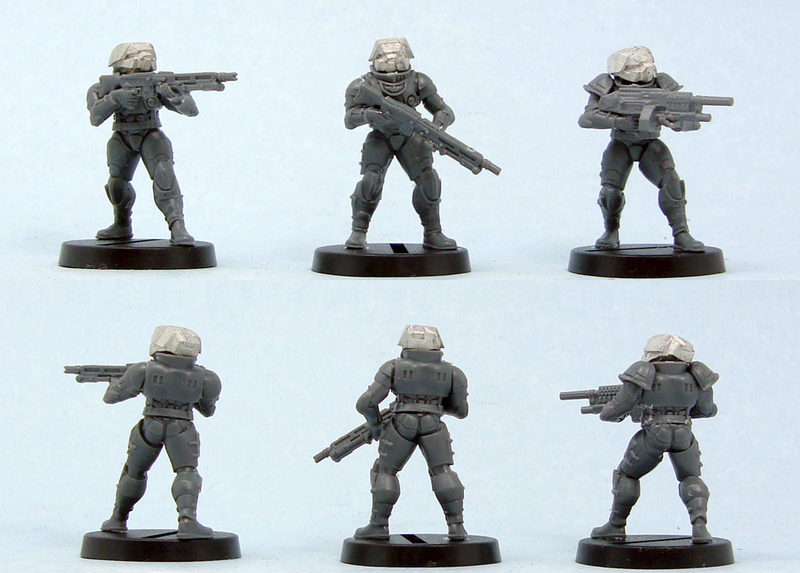 I did a very quick, rushed job (it’s still in need of putty work and filing), but as you can see, it makes for a very nice Colonial Marine. 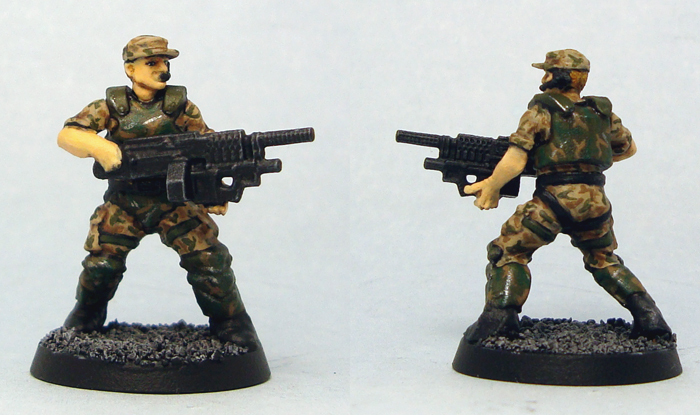 The size and scale of the HF gun is spot on, and the end result works really well. 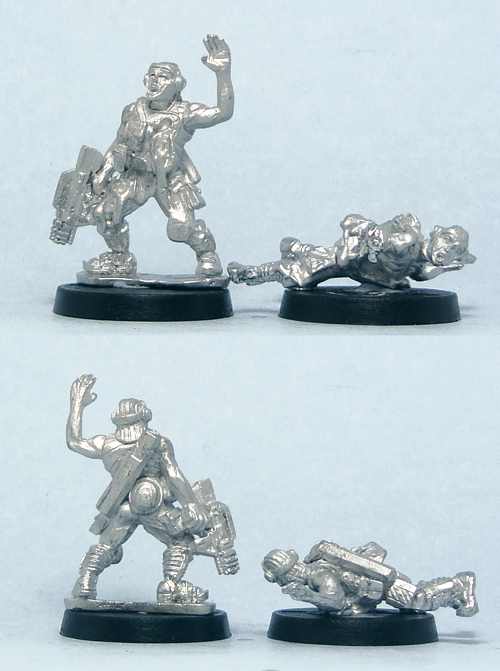 This combination is definitely worth considering, if you’re looking to make your own on the cheap. 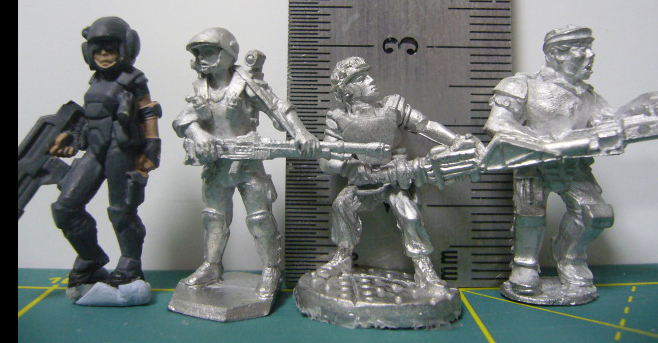 The more I keep looking at that, the more my inner struggle against laziness increases. 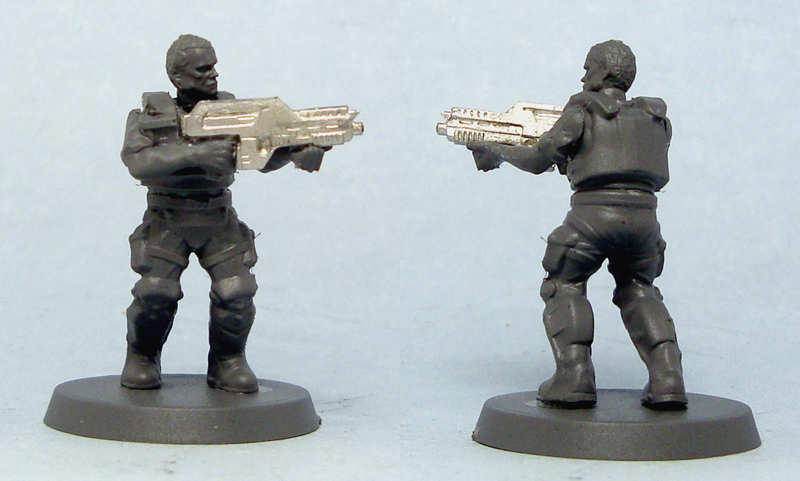 While the guns the DG marines sport are nice enough, the HF pulse rifle is a perfect rendition of the Aliens gun. 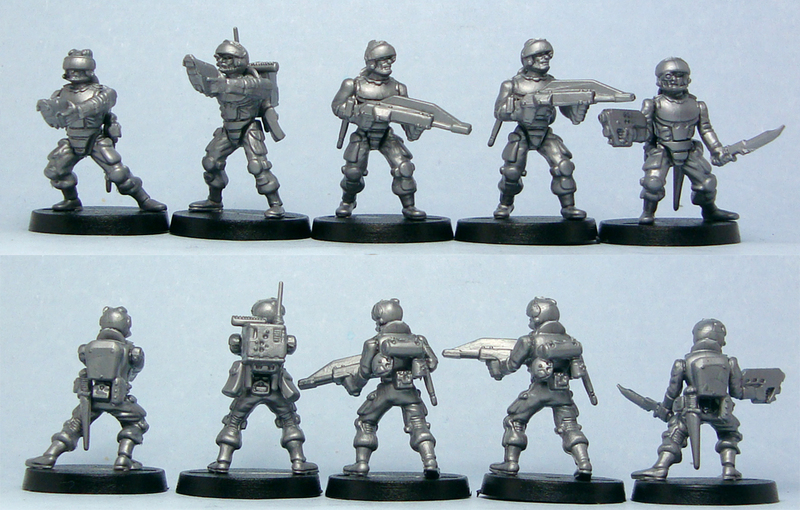 Luckily I only have a few HF pulse rifles left…for now. 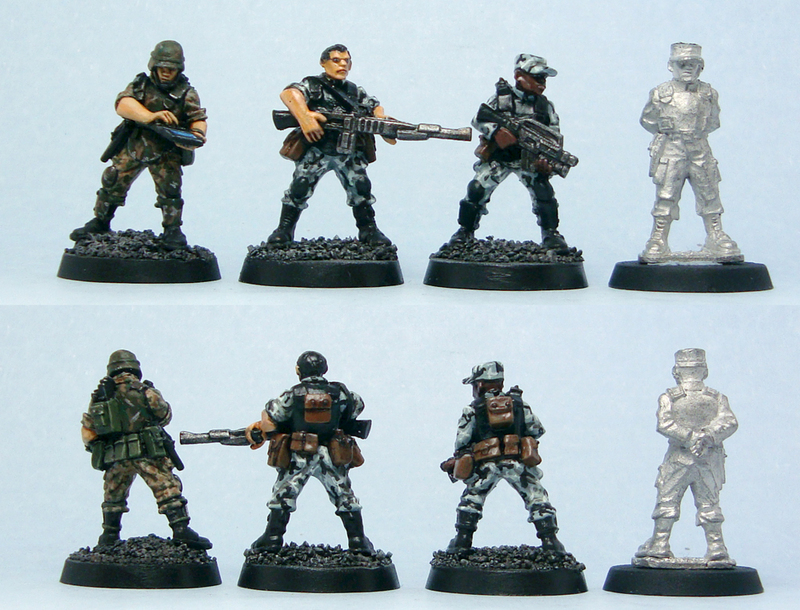 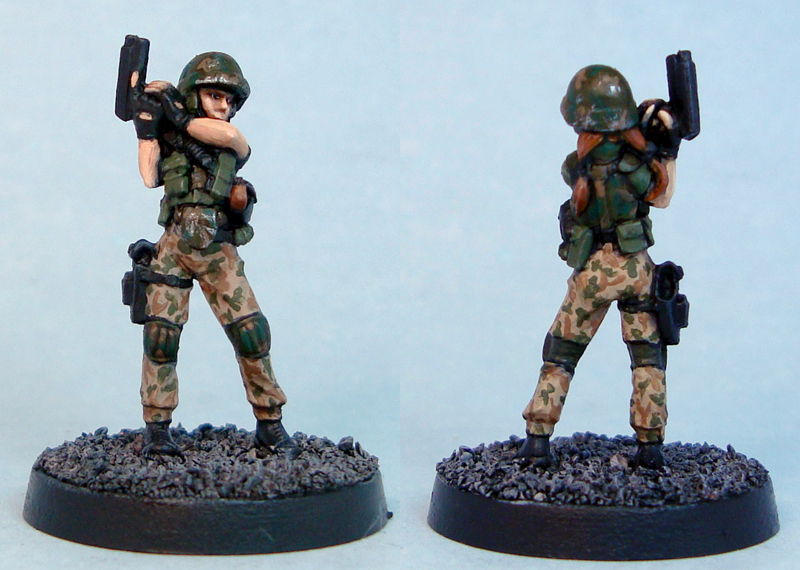 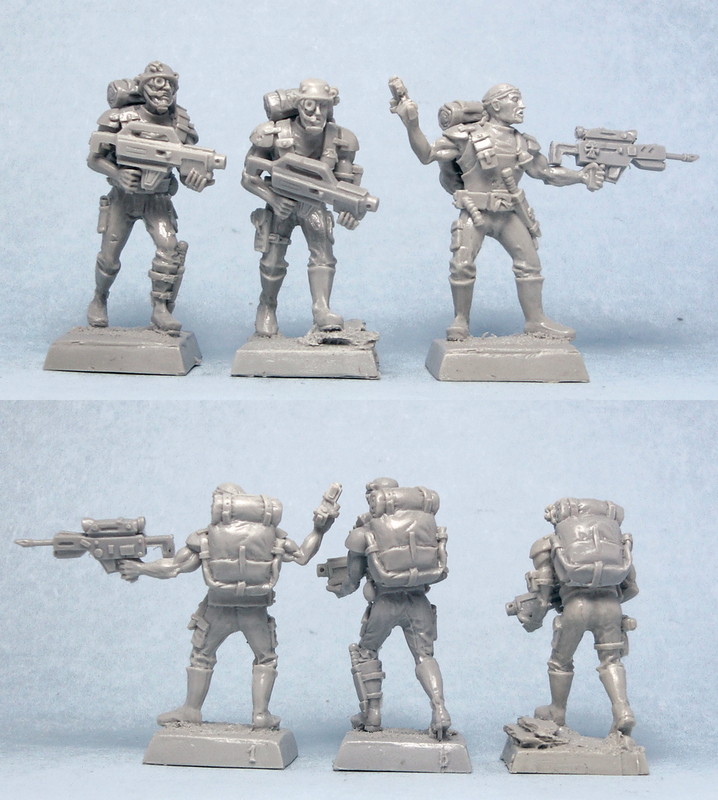 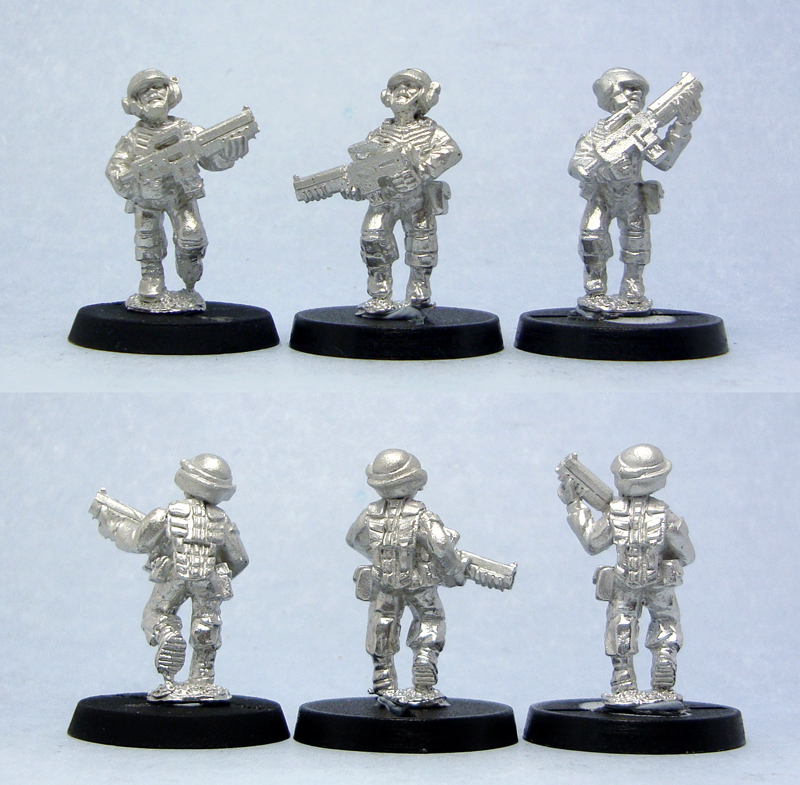 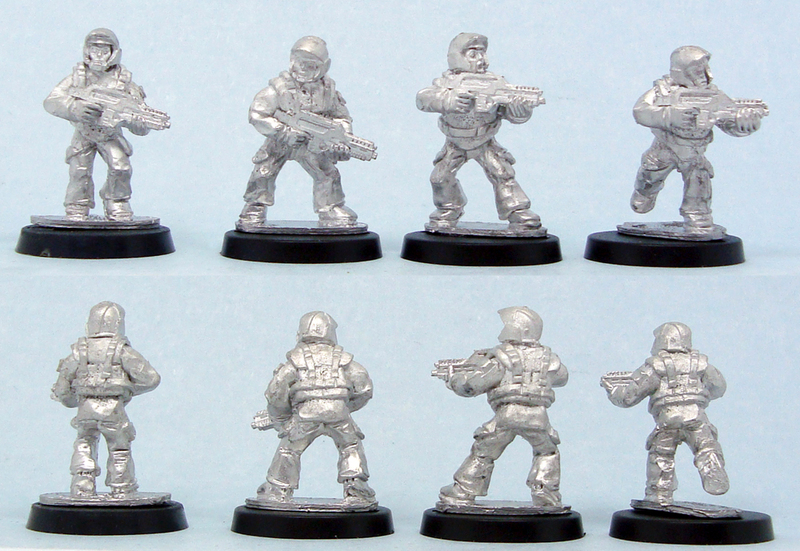 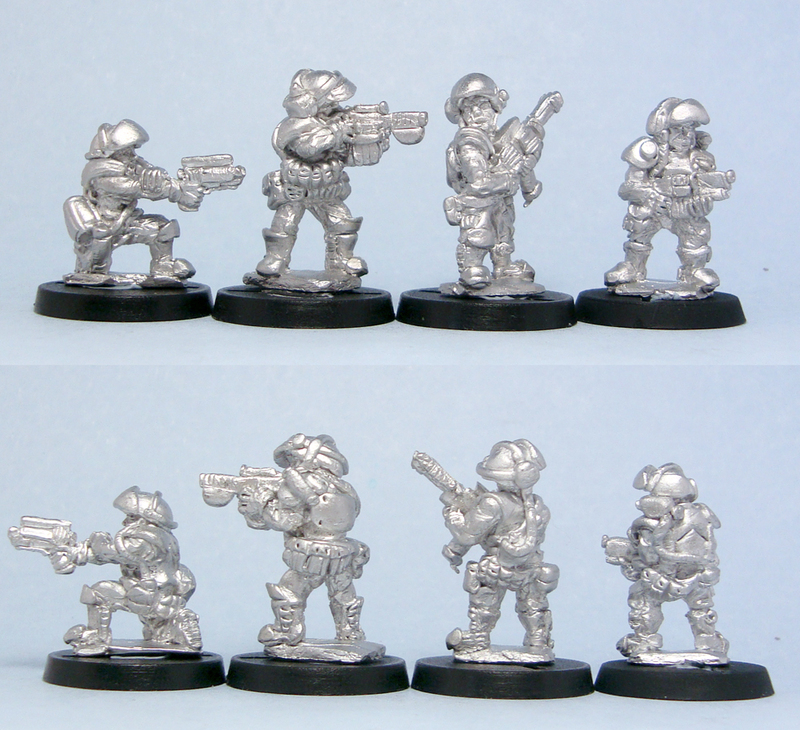 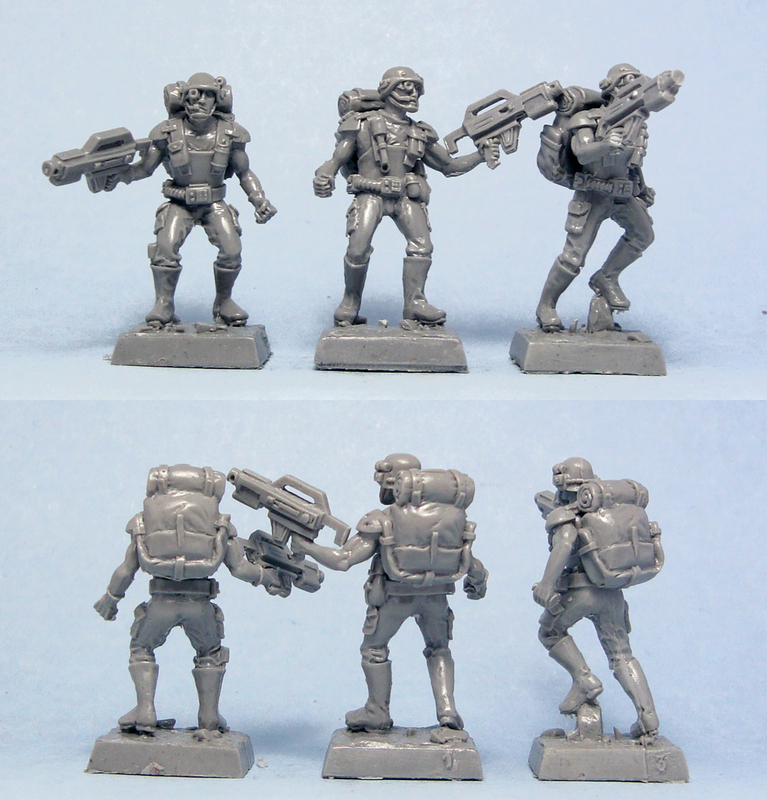 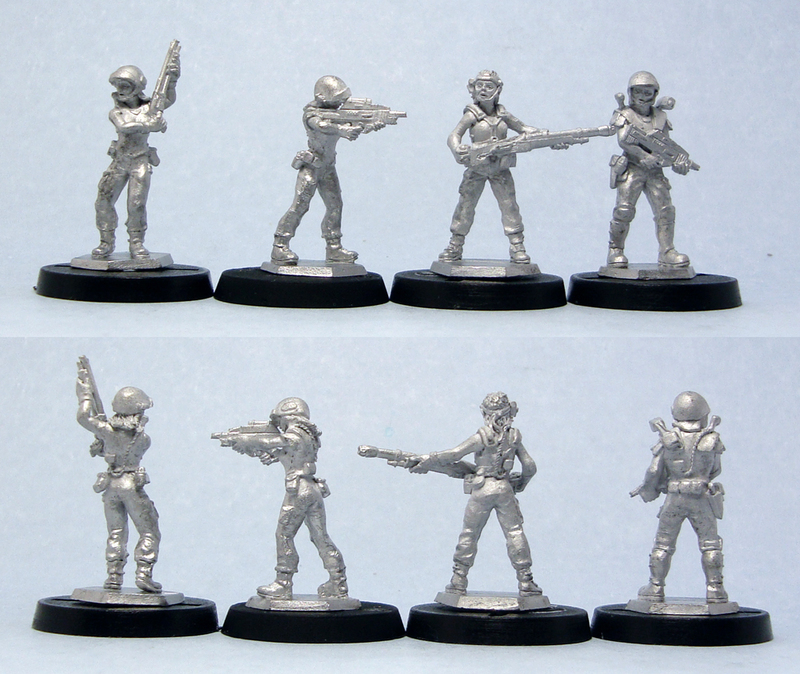 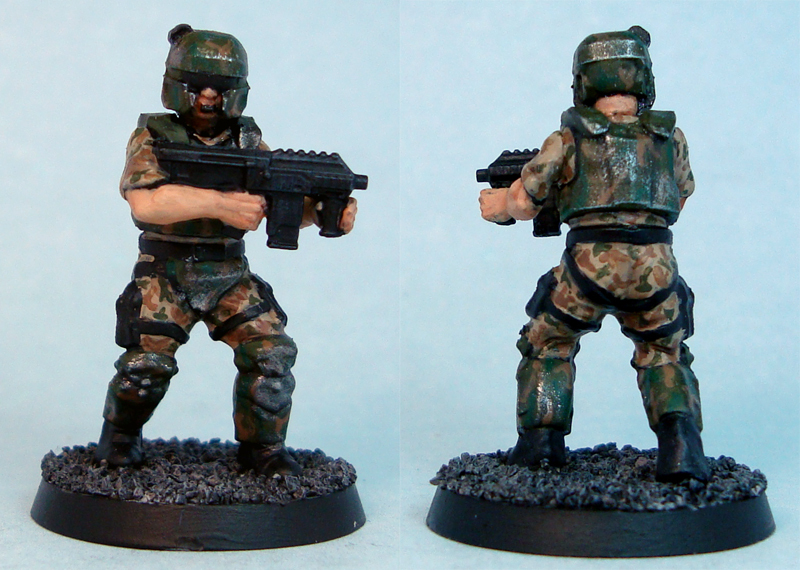 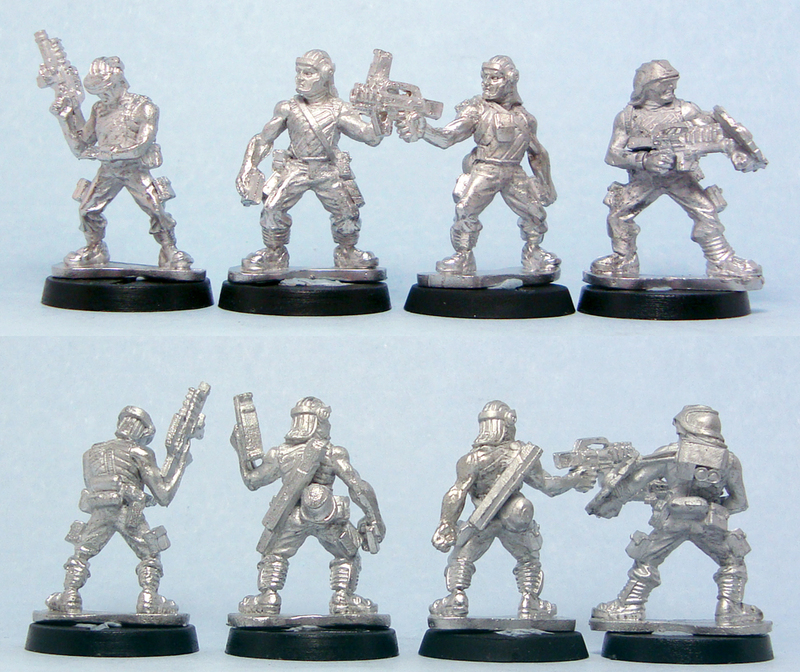 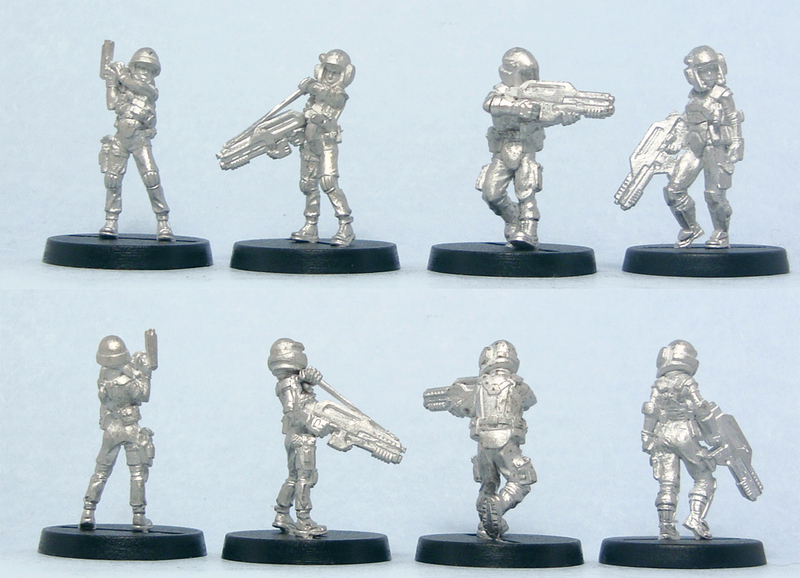 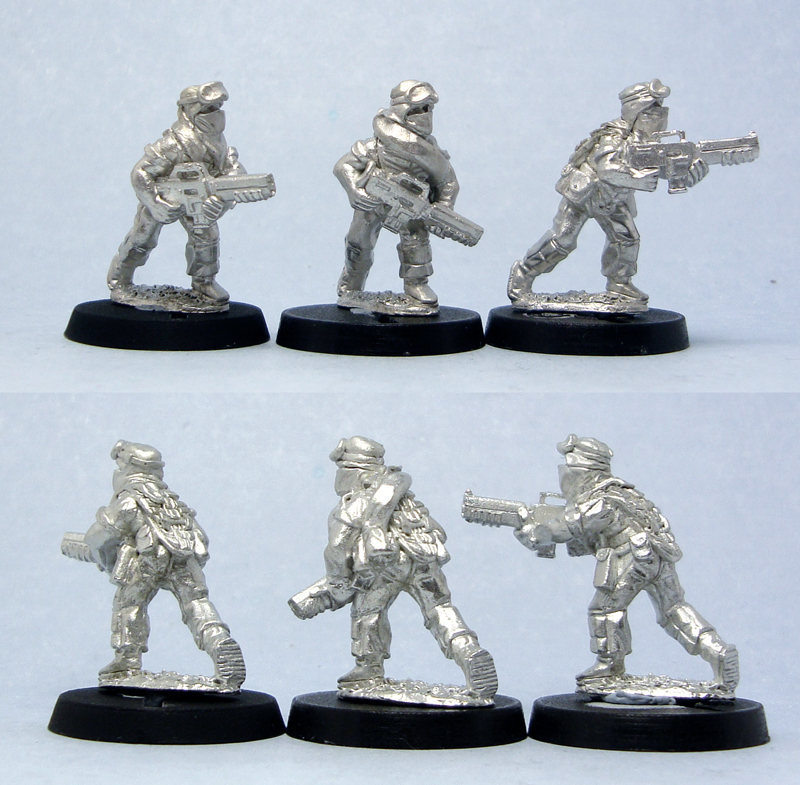 I just updated the Colonial Marine review with the UAMC Marines from Defiance Games. 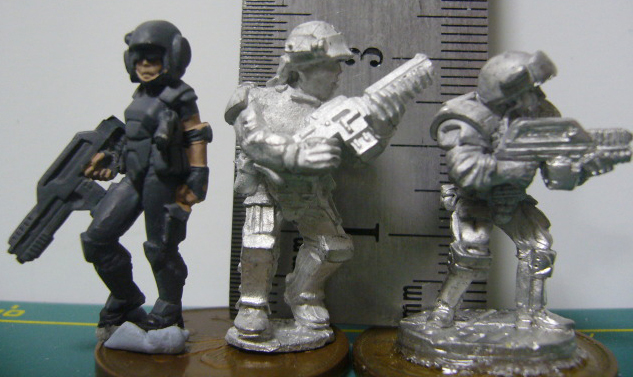 Go check out the verdict!